Lets not look at only the classics, but also those things that are truly new and fantastic, and which can become the classics of tomorrow. Discover the Mojito. 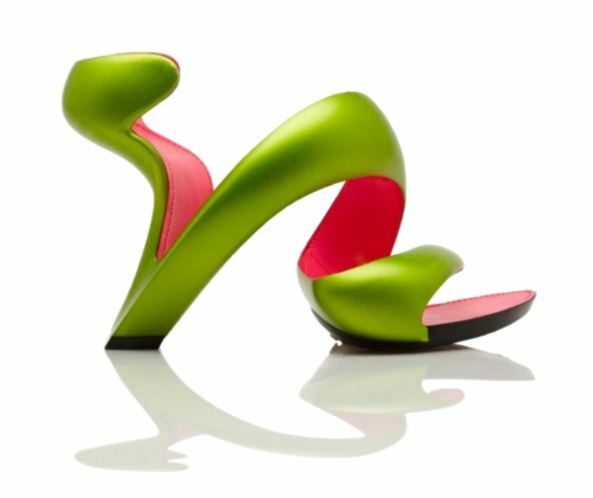 A shoe designed by the architect Julian Hakes. His innovative idea came from having designed bridges all over the world. Bridges and shoes have a lot of passion built into them. Designing a bridge with poetic and sculptural features is not unlike designing a shoe. Both structures have to support precious things, and they need to withstand the passage of time and style. Think about how long some Roman bridges from thousands of years ago are still standing and in use today. When he was designing his signature shoe, Julian Hakes was inspired by lime peel, and its beautiful and natural twist when peeled. The simple, effortless and unique wrapped geometry of the juicy fruit has given us one of the most unique shoes of today. I have purchased myself the “mojito shoe classic-black and lime/green” shoe and I am eagerly waiting for it to arrive. As soon as my delivery arrives, I will tell you more about this amazing shoe. What I love about this shoe is the design and the color variations. It looks extremely comfortable to wear and I can see this being THE shoe for summer outings with friends and parties. I think this shoe will go so well with a LBD or linen shorts and a light and airy top. It was very difficult to choose which color to pick when I was buying these, but I really fell in love with the lime green interior which just shouts “fresh and juicy lime”. It is obvious that shoes are the one thing I will splurge on, Shoes are also a great way to spice up and give some fresh energy to otherwise classic look.